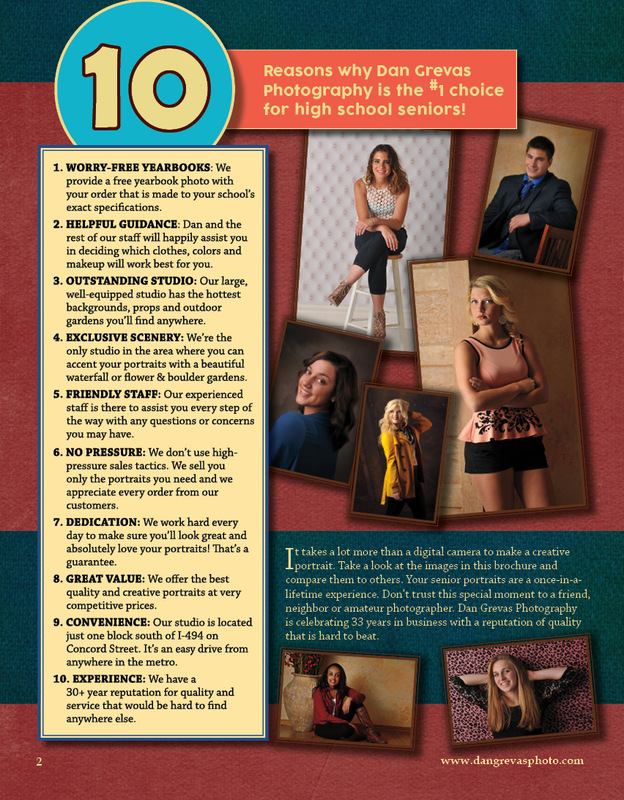 Your senior portrait will become a treasured memory as you recall this time in your life. Finishing high school, then moving on to college, work, marriage and more are only part of what the bright future holds for you. Please keep in mind that for most people, this is the only time in their life when the spotlight is focused solely on them. Creating unique portraits for you to enjoy is our contribution to celebrating this milestone. At Dan Grevas Photography, we skillfully blend the setting, the person and the mood together in our artistic images. You are encouraged to bring items that reflect your personality. This could be a favorite article of clothing, or accessories, such as jewelry, hats, and belts. Bring anything that expresses the real you. 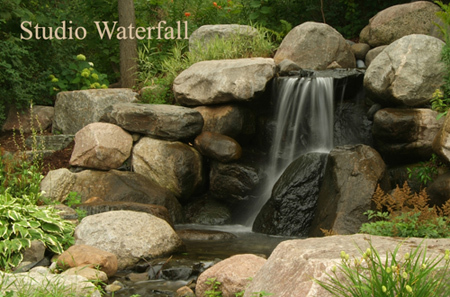 We invite you to enjoy our large, well-equipped studio, beautiful backyard gardens and relaxing waterfall and pond. Choose from our extensive collection of backgrounds, sets and props. 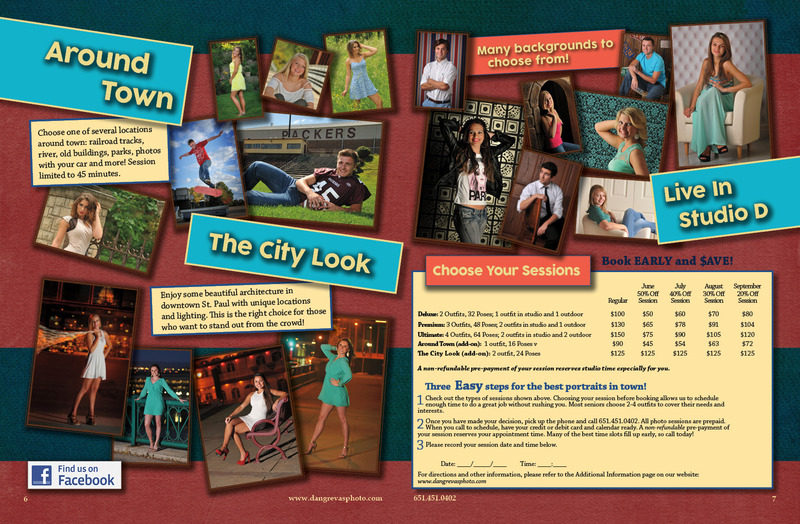 Your session with Dan will be fun and exciting. He is open to your ideas and will work with you to create extraordinary images. Our experienced, friendly staff is here to assist you and insure that you have the best possible experience. It is our pleasure to serve you, and we look forward to hearing from you. 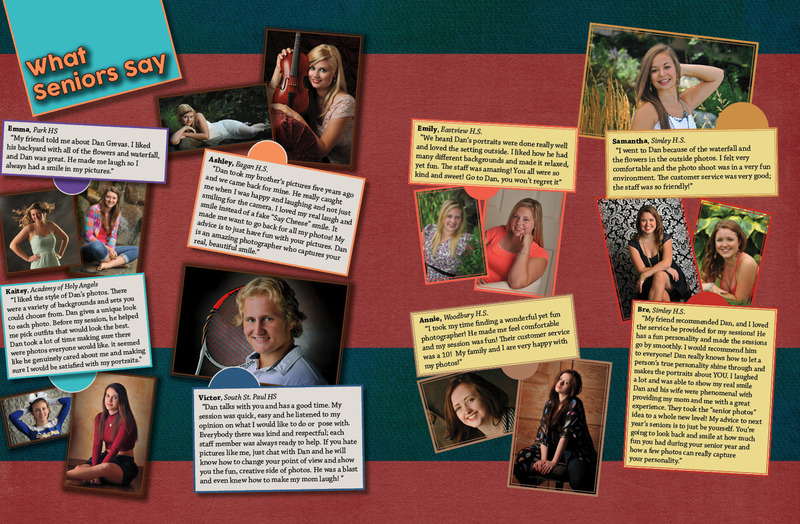 Please call 651-451-0402 TODAY with any additional questions you may have, or to schedule a portrait session.